This morning i woke at 3.30am. That's pretty standard for me on the first day. 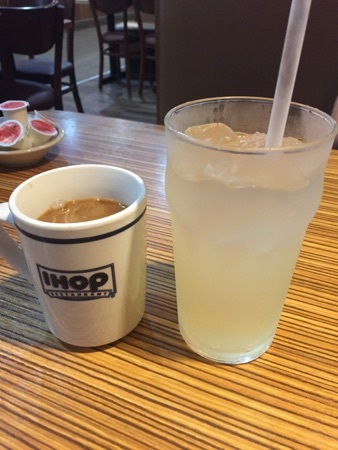 We headed out for breakfast just before 6 and decided on IHOP as it's one of our favourites and is just down the road. DH had a coffee and I got a sparkling summer refresher thing. It was lemonade and mango and was really good! DH loves the coffee in America so was pleased with his. 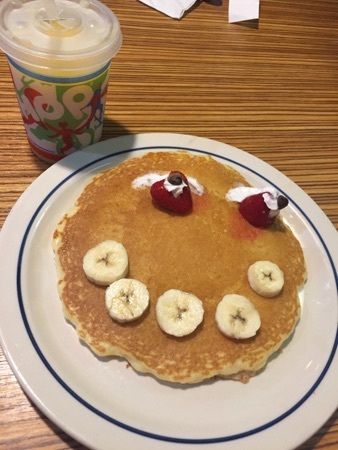 DD got the make your own face pancake, this was a pancake with strawberries and chopped banana. She had an orange juice to go with this. She absolutely loved it! The pancakes here are amazing! I had the 2x2x2. This is 2 eggs (choice of how cooked), 2 bacon or 2 sausage and 2 pancakes. IHOP have a selection of syrups on he table to help yourself to. The old fashioned maple syrup is my favourite. This was absolutely delicious as far as breakfasts go. This came to $32 in total. As is traditional for us on our first day we went to magic kingdom, we arrived at 8am and neither the monorail or ferry were running and we were directed to buses at the TTC. After watching the welcome show we managed to get on the tomorrowland speedway, the barnstormer, dumbo and the carousel before our 9.55am seven dwarf mine train fastpass. We then did big thunder mountain, this was DD's first 40" height requirement ride, it's so nice all 3 of us can go on all these rides together now . After big thunder mountain we decided to get an early lunch as we'd had such an early breakfast we were feeling hungry. We headed to Pinocchio's village haus. 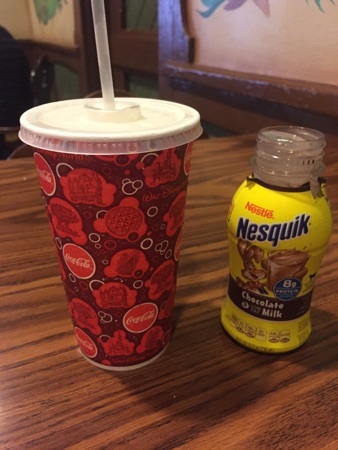 We got a Minute Maid lemonade for me and DH to share and DD had a chocolate milk. Between the 3 of us we decided to share a caprese flatbread. 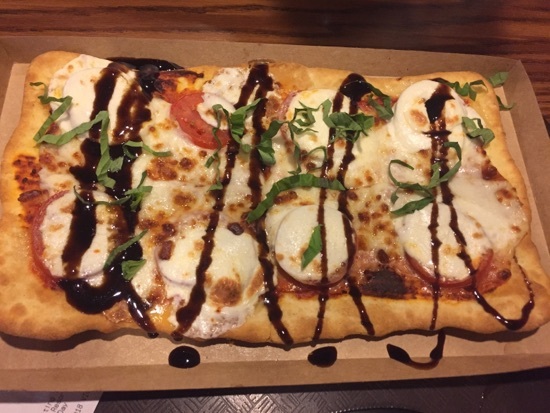 This is mozzarella, tomato and rocket drizzled with a balsamic glaze. It was delicious. DH particularly enjoyed this! 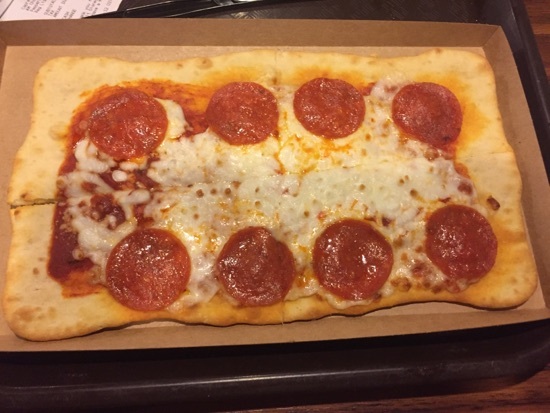 We also got a pepperoni flatbread. This was also really good. I liked them both the same so let DH have most of the caprese and I shared most of this with DD. This came to $27.65 and was a nice amount of food for lunch for the 3 of us, it left just enough room for dessert! Dessert was this... the plaza sundae from the plaza ice cream parlour on Main Street. 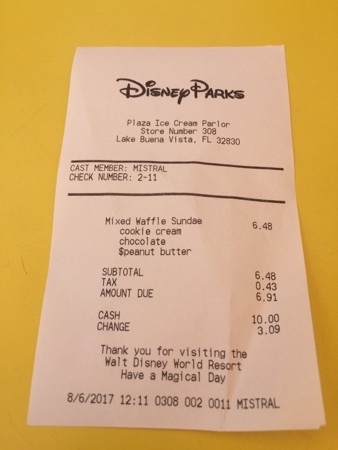 We got a scoop of chocolate and a scoop of cookies and cream ice cream and it comes with hot fudge sauce and we paid extra for peanut butter sauce too. 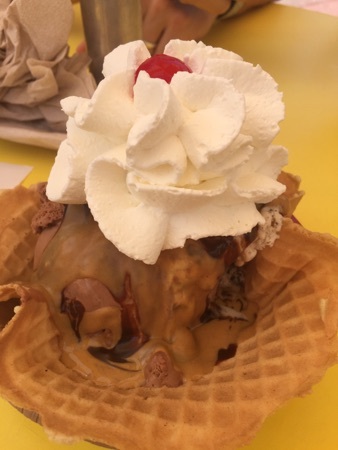 It comes served in a waffle bowl. This is absolutely amazing! One of my all time favourite Disney snacks. It's not a great photo, it was snapped quickly before DD attacked it with her spoon! 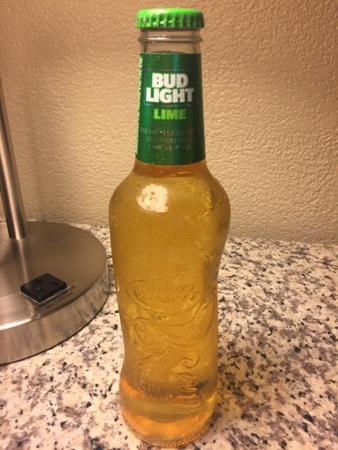 This cost $6.91 and is easily enough to share. 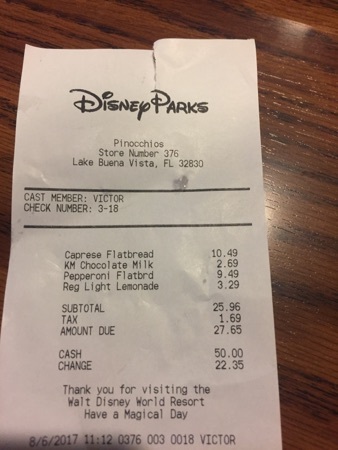 It's available as a snack credit if on the dining plan so definitely one of the best value snacks available! After lunch we used our fastpass for splash mountain and decided to head back to the hotel for a chill out. On the way out we got a bucket of popcorn from the stand in frontier land. 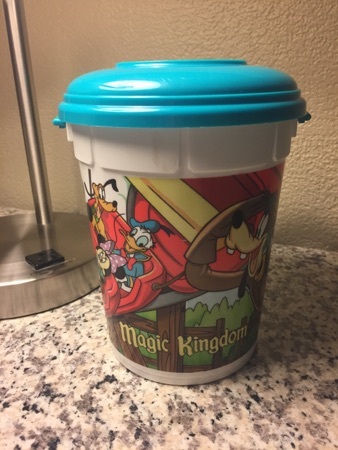 These are $10 for the bucket and $1.50 for a refill. The popcorn in frontierland was maple flavour rather than the salt popcorn in most other stands. It was a sweet popcorn but had a slight bitter aftertaste. We had a nice couple of hours nap when we got back and when we woke we discussed where we should head for tea. We were going to go to 4rivers but with it being Sunday it is closed so we turned right out of the hotel down the 192 and drove to wild side bar and grill. This is a new one for us. The place wasn't too busy and we were seated immediately. Our server was brilliant really friendly and sorted us out with drinks right away, we all had a Coke. 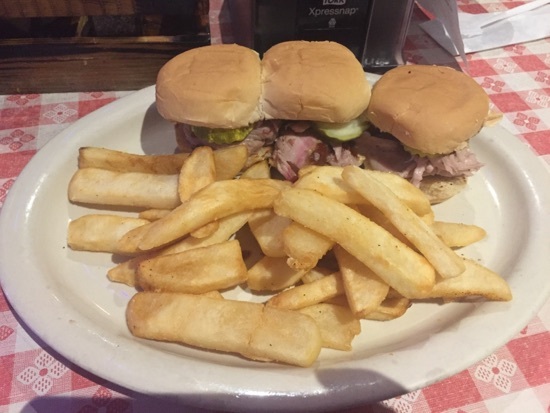 I ordered the pulled pork sliders from the appetiser menu, these came with chips for $8.99. These were so good! The pork was really tender and there were a selection of BBQ sauces on the table to add as you wish. It's not often you get chunky chips over here! 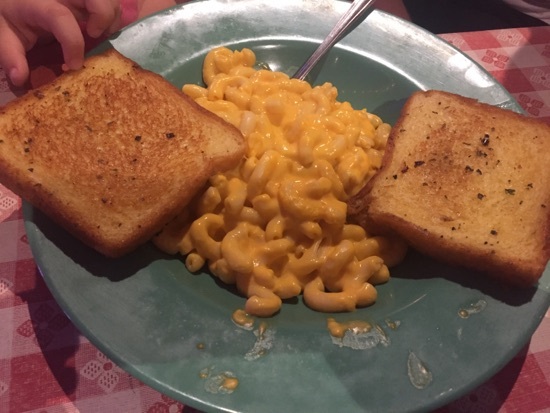 DD had the kids Mac and cheese which came with a side, she had garlic bread. This was good and DD enjoyed it. 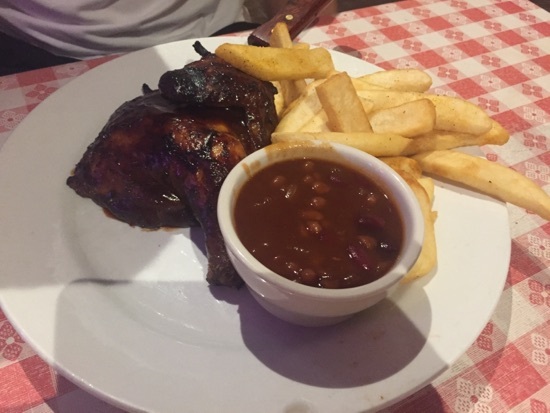 DH ordered the half smoked chicken, this came with a side of fries for $8.99 and added an extra side of baked beans for $1.49. DH really enjoyed this, the beans were in the sweet BBQ sauce that was on the table. 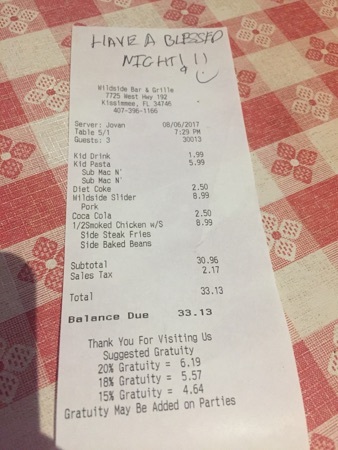 Our total came to $33.13. We loved it here and would definitely return again. There was loads of choice on the menu. After tea we went for a walk down disney springs and on the way back to the hotel stopped off for more water in Walgreens. Another 24 bottles this time for $2.99. And we picked up a pack of chips ahoy chocolate chip cookies to snack on in the room. We called in at the racetrack petrol station for something to drink in the room. 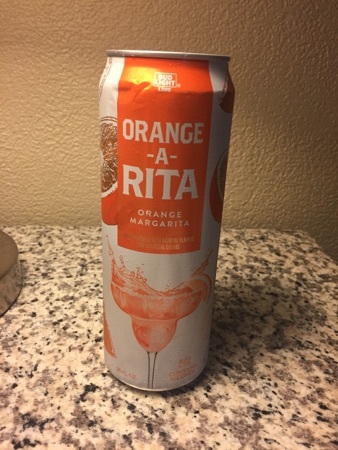 I got a couple of cans of flavoured margarita. I chose an orange one and a mango one, these were 2 for $6.50 and are huge. Will keep me going a week! New Photo Added by missdopey - 7 Aug 17 3:34 AM. Some tasty looking food. 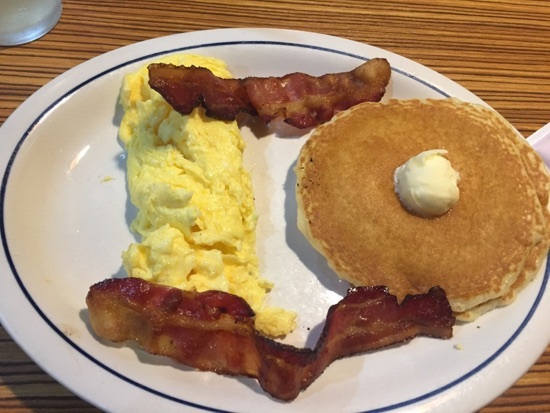 IHOP omelettes are really good too. Love the look of the flatbreads and that icecream looks delicious. 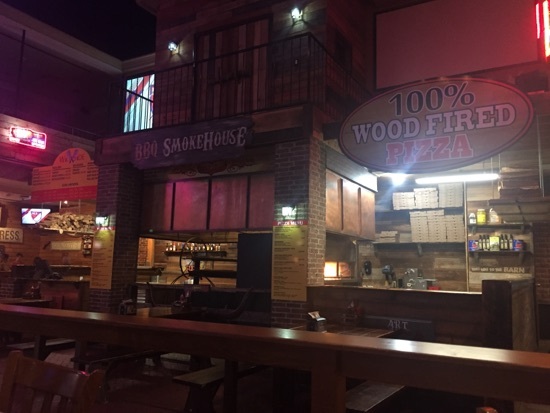 We've been to Wildside a couple of times and always enjoyed the food and service. 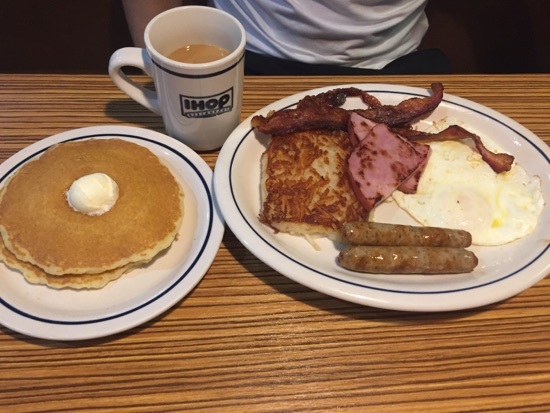 IHop breakfasts are really nice, it's our go to place for the first morning.